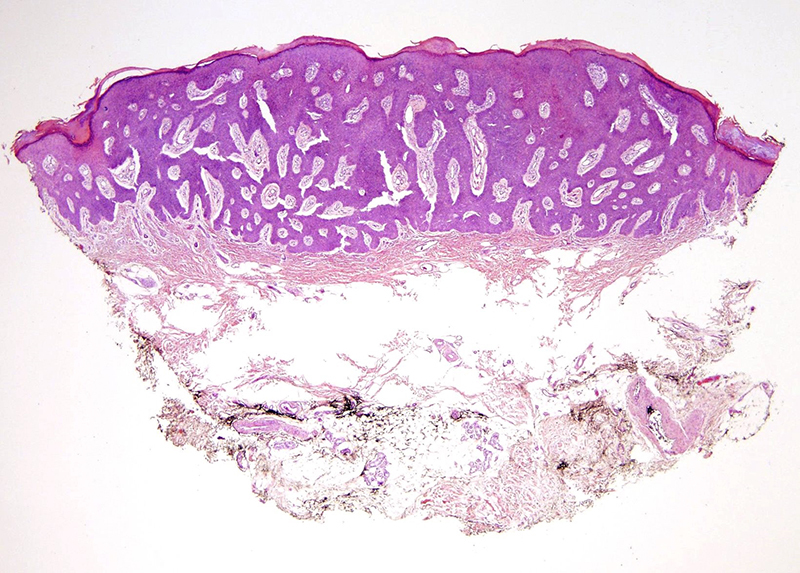 The background lesion is an eccrine poroma with a prominent intraepidermal component (hidroacanthoma simplex-like). 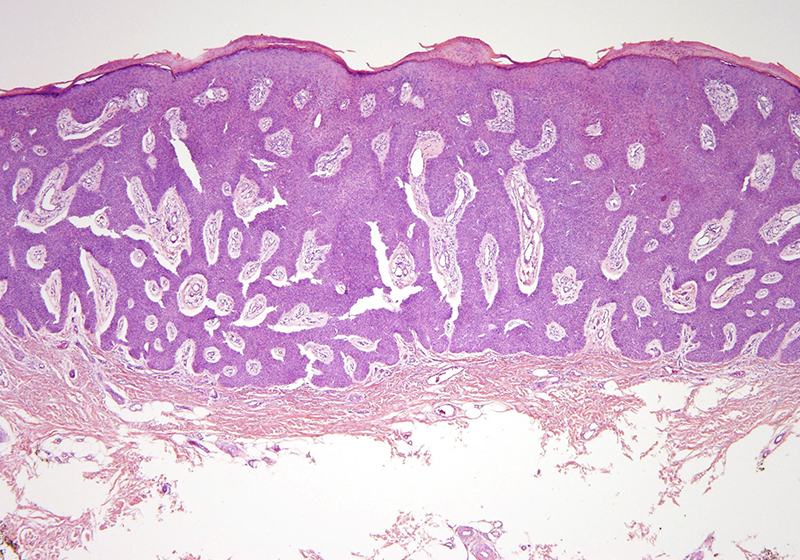 Such lesions can exhibit variable atypia and as well carcinomas can arise in pre-existing eccrine poromas. 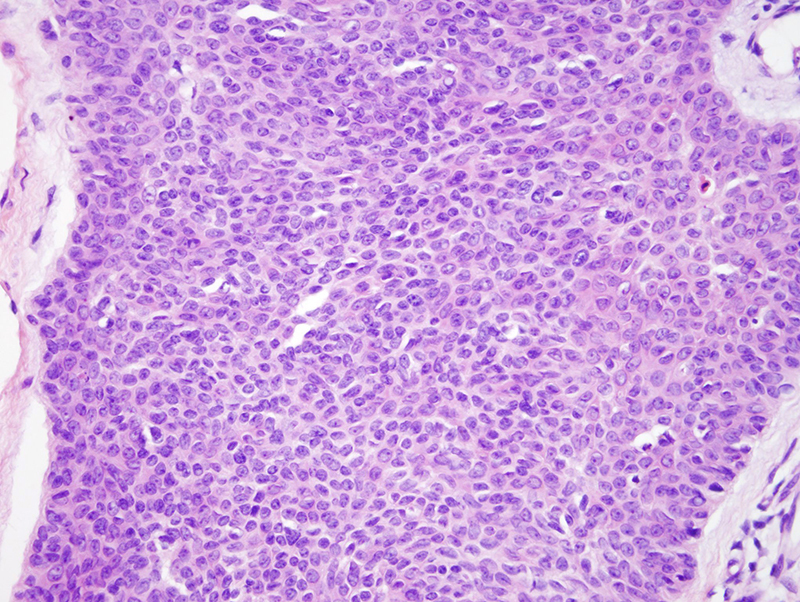 In this particular case there is indeed supervening severe epithelial cell atypia whereby there are many positive staining cells for Ki67. 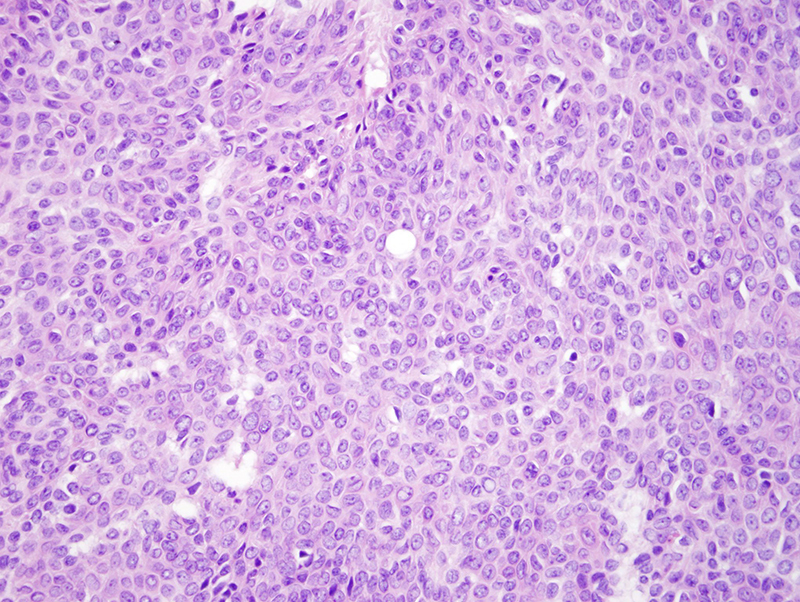 The lesion is best treated and categorized as evolving eccrine carcinoma in situ arising in a background of eccrine poroma. As the lesion is in situ without invasion complete excision without sentinel lymph node sampling is reasonable.